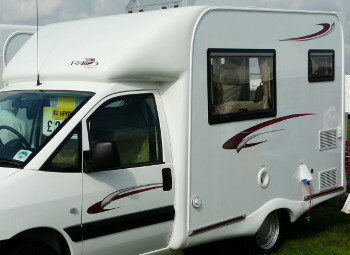 If you are thinking of converting a panel van into a motorhome or campervan, then one of the items on your list will almost certainly be windows (especially if you want to be able to re-register the van as a motor caravan with the DVLA). Vehicle windows are normally single-glazed and may or may not have an opening panel for ventilation. Most current vans are designed for bonded windows – these are basically glued to the side of the vehicle, covering the window hole and providing a flush fit with the side of the vehicle. Motorhome windows, on the other hand, are the moulded plastic windows you see in all caravans and larger motorhomes. In terms of cost, there is surprisingly little difference between the two types of window. Both can be fitted professionally or by a competent DIYer – although bonded windows are probably easier left to the professionals, who will have the right equipment and adhesives. I’ve fitted motorhome windows to a panel van and it is not especially difficult – the key is to measure very carefully on both the inside and outside of the van before you start cutting! You can see my illustrated guide to fitting motorhome windows here. 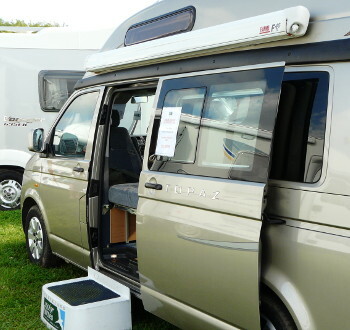 ← Self-Build Motorhome Conversion – Interested? Seitz S4 windows are the main (and high quality) choice for aftermarket double-glazed windows and they come in a huge range of sizes, one of which should suit the tailgate of your van. Lots of companies sell them, I bought mine from Autocraft Motor Caravans Other possibilities include Rainbow Conversions, O’Leary Motorhomes, Leisure Vehicle Windows and of course eBay.